The Low cost vans sponsored 2019 Hall of Fame tickets will be for sale from our table in the Neath Rugby clubhouse before and after the RGC game on March 15th. Tickets will cost £12 for supporters club members and non members £14. This event is known for selling out so we advise getting your tickets asap. So call in and see us before or after the game to secure your tickets. All profits raised will go towards the fund for getting our club back. The date for the 2019 Hall of Fame is has been released, and it is going to be held on Friday May 24th at the Neath Rugby clubhouse. This annual event is now in it’s 6th year, wow,that’s gone by very quickly. In that time we have inaugurated former players such as Shane Williams, Steve Powell as well as Brian Williams and Brian Thomas to name a few. Who do you think will join them this year? We will be releasing the date and price the tickets go on sale shortly, along with the names of those being entered into this years inauguration. So watch this space. The event will again incorporate the Neath Rugby players award night. This has gone down well with both players and supporters alike. So keep your eyes peeled for the ticket release date on social media and in the matchday programme. Existing members will get a reminder via email or post. This event does get sold out, to avoid disappointment as tickets are limited, buy them early. All profits raised at this event will go into the fund for regaining our club. We look forward to seeing you all there on the night. We are now just over two weeks away from our Hall of Fame night on 18th May. Tickets for this annual celebration event are selling well but we do still have a few left. These tickets will be on sale from the supporters club table in the clubhouse at Friday’s game against Aberavon – one of your last chances to secure tickets before the big night. Tickets cost just £10 for supporters club members and £12.50 for non-members. The ever-popular event will see Neath greats Adam Jones, Carl Gnojek, Dai Morgan, Mike Richards and Grahame Hodgson inducted into the Hall of Fame. Remember that all the profit we make from the evening goes back into helping the squad prepare for the 2018/19 through the provision of kit and equipment. Between now and the end of the season, members can cast their vote and have their say on who they think deserves to follow in the footsteps of previous winners Alex Humphrey, Leon Ward and Ed Howley. We want to know who you think the standout performer has been – who gave it their all, week in, week out? Who impressed you the most? Members can vote by visiting the supporters club table in the clubhouse at the Neath v Llandovery game on Saturday and the Aberavon game on 4th May. You can also email your selection to info@neathrugbysupporters.com – ensure you include your name and your supporters club membership number. The winner will be presented with their award at the Hall of Fame night on Friday 18th May. So get thinking, and make sure you vote for your favourite player. 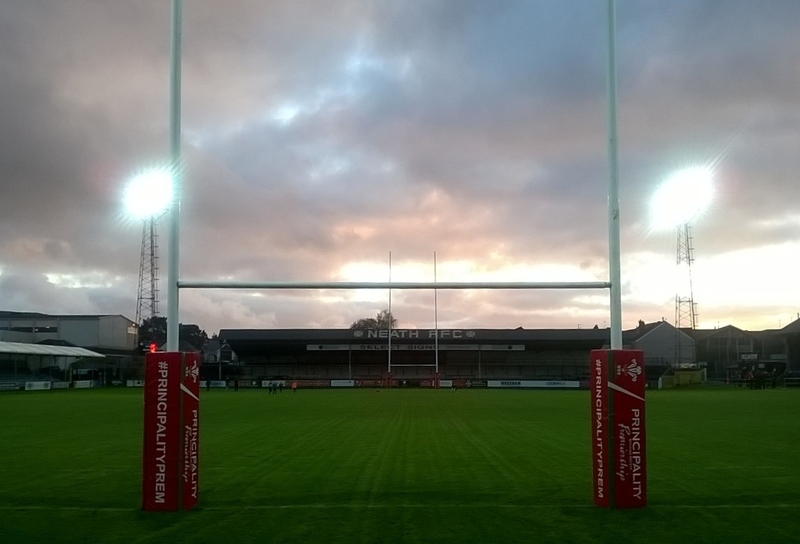 Tickets for Neath Rugby Supporters Club’s annual Hall of Fame night will be going on sale at the Neath v Llandovery game on Saturday. Taking place on Friday 18th May, the evening will see Neath greats Adam Jones, Dai Morgan, Carl Gnojek, Mike Richards and Grahame Hodgson inducted into the Hall of Fame. The popular event has always sold out in the past and so fans are encouraged to buy their tickets as soon as possible. Tickets cost £10 for supporters club members and £12.50 for non-members and will be on sale from the supporters club table in the clubhouse before and after Saturday’s game. Make sure you secure yours before they all go. Neath Rugby Supporters Club is on the lookout for some of its members to come together to help choose who should be inducted into the 2018 Hall of Fame. The closing date for nominations is this Friday (30th March). We will then need our selection group to get together after Friday’s game against Merthyr to choose the final five. We’ve had a great response so far with almost 50 separate players all put forward. The names will then be whittled down to the final five who will be inducted at our end of season celebration night. The Annual Dinner of the Neath Former Players will be held at the Gnoll Clubhouse on Friday, March 2nd (7.00 for 7.30pm), and you could be there. We have some tickets available for this occasion and we’ll be raffling them at this Saturday’s game against Bedwas. We’ll be selling tickets in the clubhouse before the game and in the ground during the match. Don’t forget to buy yours. The dinner will see former Wales, Ospreys, Newport and Pontypridd lock Ian Gough as guest speaker, with comedian Kevin Kaye providing support. If you aren’t lucky enough to win tickets then there are still some available to purchase. Contact Alun Roper for more details – 01639.633356 or e-mail: alun.roper65@gmail.com. All former players and supporters are welcome. 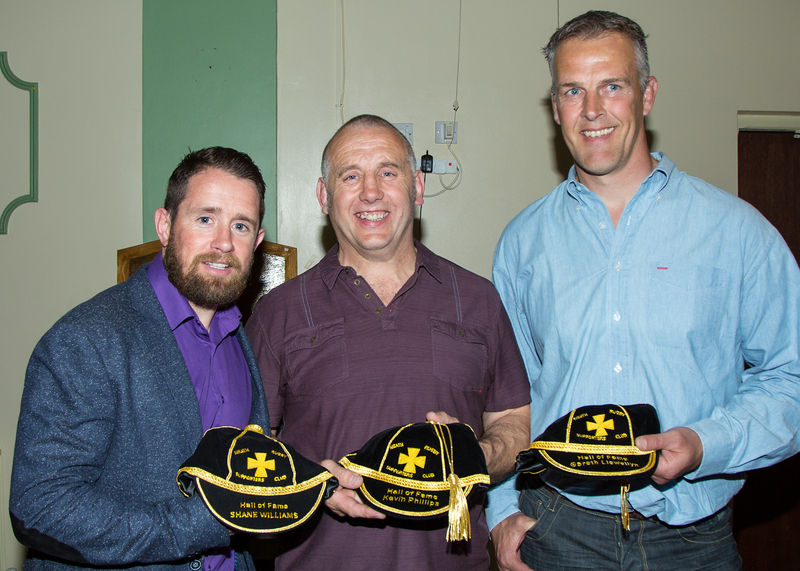 The Hall of Fame was established in 2014 to honour some of Neath RFC’s greatest ever players. Amongst the players to have been admitted in the past are legendary figures such as Brian Thomas, Brian Williams, Elgan Rees and Dai Morris, current Head Coach Gareth Llewellyn, club stalwart Steve Powell and Wales’ leading try scorer Shane Williams. There’ll be no shortage of candidates spread across the decades. 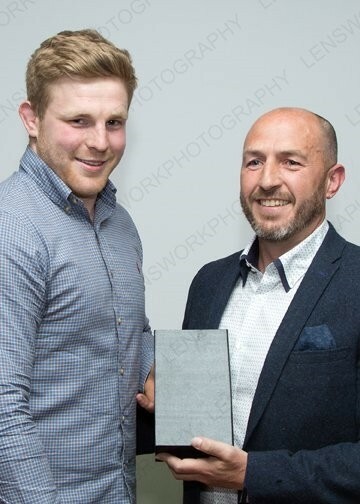 The likes of Grahame Hodgson, Adam Jones or maybe Barrie Williams are all likely to feature in people’s thinking, but anyone who has made an outstanding contribution to Neath RFC can be nominated. The deadline for nominations is Saturday 31st March and fans can nominate as many individuals as they like. The final inductees will then be chosen by a panel of Supporters Club members and then be formally inducted at the Hall of Fame celebration evening at the end of the season (date to be confirmed). So get your thinking caps on and let us know who you would like to see in the 2018 Hall of Fame.